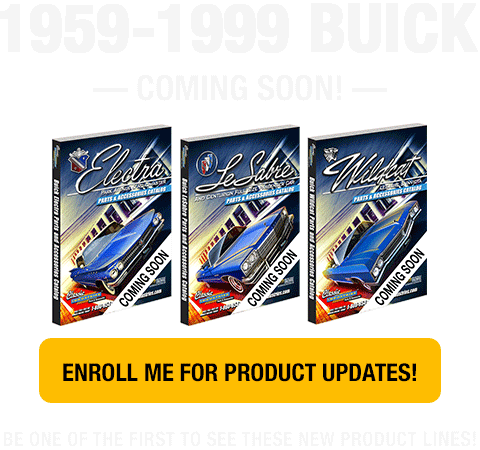 Enroll today and be one of the first to discover the latest selection of Buick Electra, LeSabre and Wildcat restoration parts and accessories! Find the parts you need—each product line is packed with hundreds of full-color photos and detailed part descriptions. Be the first to see the latest and greatest items we have to offer, many of which can only be found here at Classic Industries. Get the most accurate, up-to-date, and competitive pricing on the parts and accessories you need. Stay informed about our Buick lines that are coming soon! Enroll today!